– the rights you have in relation to your personal data. By “personal data”, we mean any information which could be used to identify you, either directly or indirectly. If you remain unhappy with a response you receive from us you can also refer to your data protection regulator For EEA countries see https://edps.europa.eu. When you order from us, through our own stores or when you sign up to our mailing lists via our webiste, we may ask for (one or more of) your name, email address, delivery address, telephone number, credit or debit card number, registered address of the card (“billing address”), card CVC number and the card’s expiry date. When you interact with us, or use any of our pages on social media sites, such as Facebook, Twitter, Instagram, WeChat, Weibo, Whats App, YouTube etc, we may collect information about you which could include personal data. For example, when you “Like” a post on our Facebook page, or “Follow” us on Twitter. Those social media sites will also have their own privacy policies explaining how they use and share your personal data. You should carefully review those privacy policies before you use those social media sites, to make sure that you are happy with them. – Contact you regarding the order your have placed with us via our stores or our B2B online portals (Fabric Catalogue, clothing catalogue). – send you information on any changes we make to our policies or terms. – contact you to suggest similar products to the ones that you have already purchased. – for business customers we keep track of your requests and interactions with our customer advisors, via telephone calls or direct email. – analyse how our Website are used, so that we can constantly improve the services that we offer. Not all of the information used for these purposes is “personal data”; some of it is anonymised or used on an aggregate basis. – other companies within the Scabal group for operational and business reasons. – certain regulatory bodies, government and enforcement agencies, if we need or are requested to. We may also share personal data collected about you with social media channels, advertising networks and other third parties who help us to understand how our Website and social channels are being used, how well our advertising works, how we can improve, to provide ad measurement services and to target advertising (and in some cases we may allow those third parties to collect and receive data themselves for these purposes, which they may also collect from elsewhere on the internet and other apps). This information is collected using cookies and other similar technologies. You can find more information on what cookies and technologies are used, how they are used, and your options for changing how we use them in the section below on “Cookies” and in our Cookies Policy. Outside communication directly relating to your order. We will only send you e-mails with information in relation to our products, special offers or competitions, if you have agreed that we can (sometimes referred to as an “opt-in”). You can sign up to receive notifications (by e-mail or by post) of our new collections, exclusive online offers and events on our website (scabal.com) or via your customer service advisor if you are a business customer. In any case, you can ask us to stop contacting you at any time by contacting us on marketing@scabal.com or by using the unsubscribe option in each e-mail you receive. By submitting your personal data, you agree to this transfer, access and use of your personal data outside the EEA. We care about your personal data and know that you trust us to keep it safe. Where we have given you (or where you have chosen) a password which enables you to access certain parts of our Website (fabric catalogue, B2B), you are responsible for keeping this password confidential. We ask you not to share your password with anyone. You can find more information on what cookies we use, how we use them, and your options for changing how we use them in the section below on “Cookies” and in our Cookies Policy. Scabal does not activiely target anyone under the age of 16. Our Website is not directed at, nor do we knowingly collect personal data from, people under the age of 16. – how you can manage cookies used on our Website. Cookies do lots of different jobs on the Website and we want you to understand the different types of cookies that we use. We use a number of these ‘strictly necessary’ cookies. For example, these types of cookies provide the necessary security that your visit to the Website or App requires, help ensure the content of the pages you request load quickly. Without these cookies, some of the services that you have asked for cannot be provided. We want you to understand these types of cookies, and why we use them, but we don’t need to get your consent to use them on the Website or the App, because we use these cookies only to provide you with services that you have requested. We use these cookies to collect information about how visitors use our website. For example, which pages our visitors go to most often, and if they get error messages on those pages. We use these cookies to allow the Website to remember the choices you make. For example, remembering your username, your language, the region you are in. The aim of these cookies is to provide you with a more personal experience so that you don’t have to reset your preferences each time you visit us. _dc_gtm_UA-25559079-1 This cookie is linked to Google Analytics, it allows the page to load the script and the code necessary for its use. _gid Linked to Google Analytics, this cookie keeps and updates a unique value for each page visited. acceptcookie Saves the acceptance of cookies for future visits to the website. Cookies do lots of important jobs on the Website. However, if you disable the cookies, you may find that certain parts of the Website do not work at all, or do not work correctly. You can disable and/or delete all types of cookies by using your browser settings. Cookies are generally easy to disable and/or delete but how you do so varies from browser to browser. The “help” function within your browser should tell you how to do it. The best way may be to close your browser and then search for “cookie folder” or “cookie manager” or simply “cookie”. Further information on deleting or controlling cookies is also available on www.allaboutcookies.org and www.aboutads.info/choices. These terms and conditions apply to your use of www.scabal.com (the “Website”) which we own and maintain. These terms and conditions should be read alongside, and are in addition to, our Privacy & Cookies Policy which tells you how we use your personal information. As part of using the Website you may set-up a Scabal Business Account using an e-mail address and password (“Account Details”). You are responsible for maintaining the confidentiality of your Account Details and are responsible for all activities that are carried out under them. You agree to notify your Customer Advisor immediately, if you become aware of or suspect any unauthorised use of your Account Details. Copyrights in the material available on this website are owned by Scabal and/or third parties. Still, you may take temporary copies necessary to browse the website on screen, download or print a single copy of Scabal’s copyrighted material for internal use only, unless otherwise stated, but you may not change any of the material or remove any part of any copyright notice. This website or any portion thereof may not be reproduced, duplicated, copied, sold, resold, distributed, modified, transmitted, reused, reposted or otherwise exploited for any commercial purpose that is not expressly permitted by Scabal. 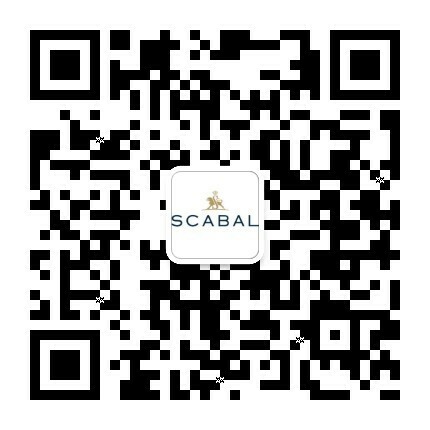 Scabal provides access to internationally used information of Scabal and may include references to Scabal products, programs and services not available in your country. All products descriptions are approximate. Prices are in the currency indicated and without VAT and/or sales taxes. Scabal will not be responsible for typographical or other errors, omissions regarding prices or other information. Prices and configurations are subject to change without any notice and do not include shipping and handling charges as well as applicable taxes, unless specified differently. By ordering a product from this website you agree to Scabal Terms and Conditions of Sale. Promotion offers and prices are for a limited time. Not all configurations are available for purchase in every country. Scabal reserves the right to offer for purchase only those products configurations that are known to conform to existing local regulations or standards. 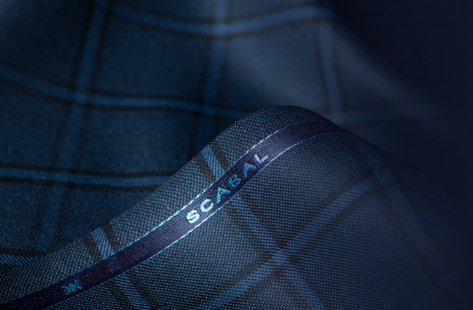 All items ordered from Scabal are made to a shipment contract, which means that the risk of loss and title pass to you upon Scabal’s delivery to the carrier. A reference to any products or services of others parties on this website and any links to or from websites of third parties is for convenience only and does not constitute an endorsement, sponsorship or recommendation of such parties, their websites, their products or services by Scabal. Scabal has not reviewed any of the websites linked on the website of Scabal. (d) you agree that you will not involve Scabal SA in any dispute between you and the third party. 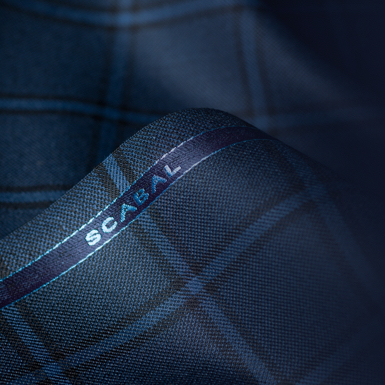 The website is owned and operated by Scabal SA, with the registered address of Rue Du Chantier, 5, Brussels, 1000 Belgium (“Scabal”, “we”, “us” and “our”).